Bored of Match 3 Puzzle or slow paced Strategy Game? Get more action with the FUN NEW FREE ENDLESS 3D PLATFORM RUNNER SHOOTING GAME! The Infamous Genius Super Villain Cammy Iyuka has struck again! And she's bringing her Army of Robots to invade the City of Nekomipolis! Help Yura Anders of the Nekomipolis Police Department in her quest to stop Cammy and her Robot Army! ▶ Experience the classic PLATFORM SHOOTING action with an ENDLESS RUNNER twist on your mobile device! ▶ Simple control, just Tap to JUMP or SHOOT! ▶ Fight over a dozen of ENEMY ROBOT MINION that are trying to stop you! ▶ Clash against the Super Villain Cammy in explosive BOSS BATTLE! 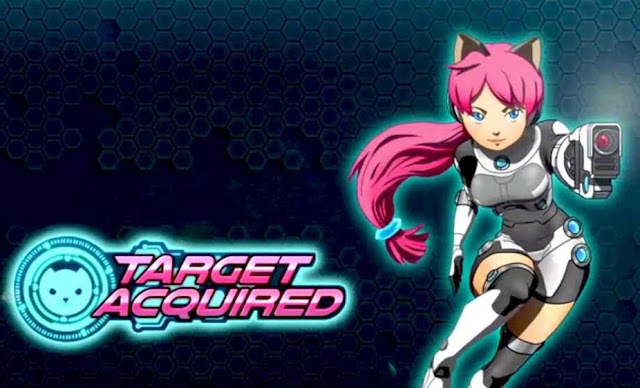 ▶ Acquire and complete TARGET and become the number one Nekomipolis Officer! ▶ TONS of UPGRADABLE ARMOR with SPECIAL WEAPON and UNIQUE ABILITY such as Explosion Bullet, Laser Blaster, and more! ▶ Run through various ZONE and TRAVEL around the world in your quest to stop Cammy! ▶ Upgradable Enhancer and Vehicle POWER UP to aid you in your Pursuits! ▶ Various TECH BOOSTS items to enhance your game! Target Acquired: install APK and play the game.